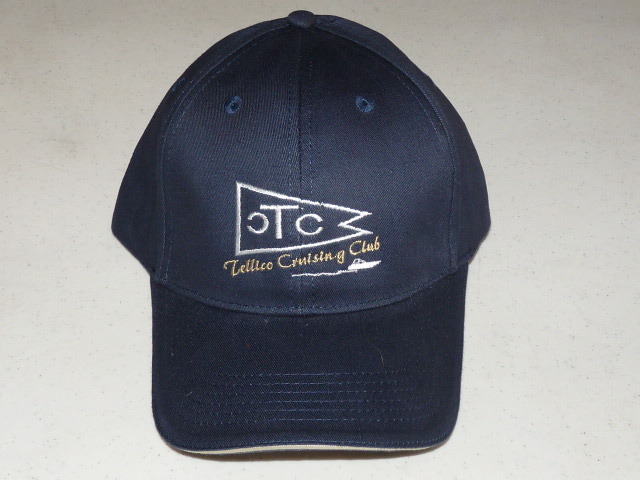 The Tellico Cruising Club was formed in April 1997 when a group of approximately 30 boaters from Tellico Village led by current Past Commander Chuck Zimmerman, got together in the lower level of the Tellico Village Yacht Club. The purpose of the meeting was to discuss the possibility of creating a social organization to promote fellowship and seamanship on Tellico Lake. In June 1997 the first Executive Committee was formed. It consisted of Commander, Chuck Zimmerman; First Officer, Larry Phillips; Second Officer, Tom Broniecki; Scribe, Karole Losey; and Bursar, Janet Luerson. Over the next several months membership requirements were finalized to include anyone owning their own boat and living within the shores of Tellico Lake. Dues to support the business of the Club were instituted with the initial dues being $20 per year. The first Club newsletter, a one page quarterly document, was started later that year. A bylaws committee was created and formal bylaws for the Club were developed and approved in January 1998. 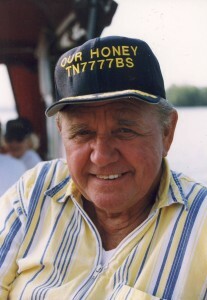 During 1998 the need for assistance on the lake for stranded boaters was identified. The TCC was instrumental in providing critical vessels and captains to help staff the newly formed Tellico Boater Assistance Team (TBAT). 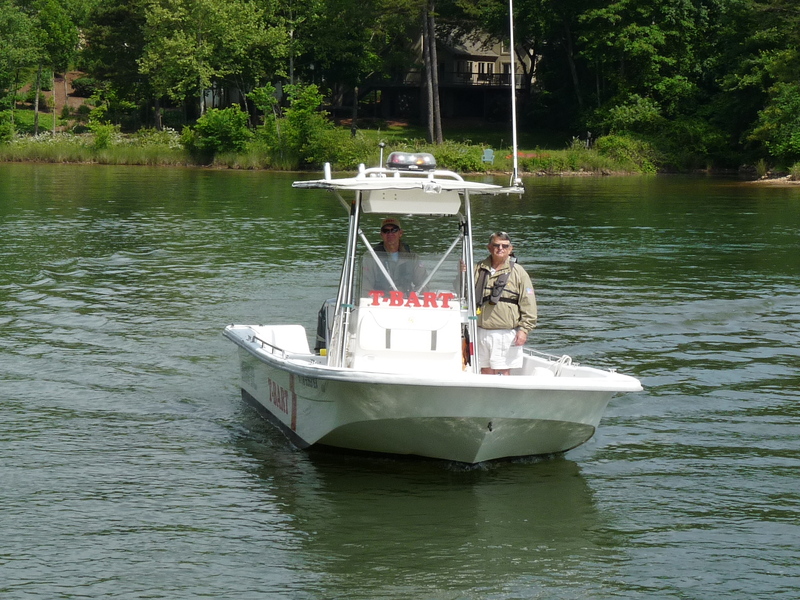 TBAT would later evolve to become the current Tellico Boaters Assistance Response Team (TBART) organization. 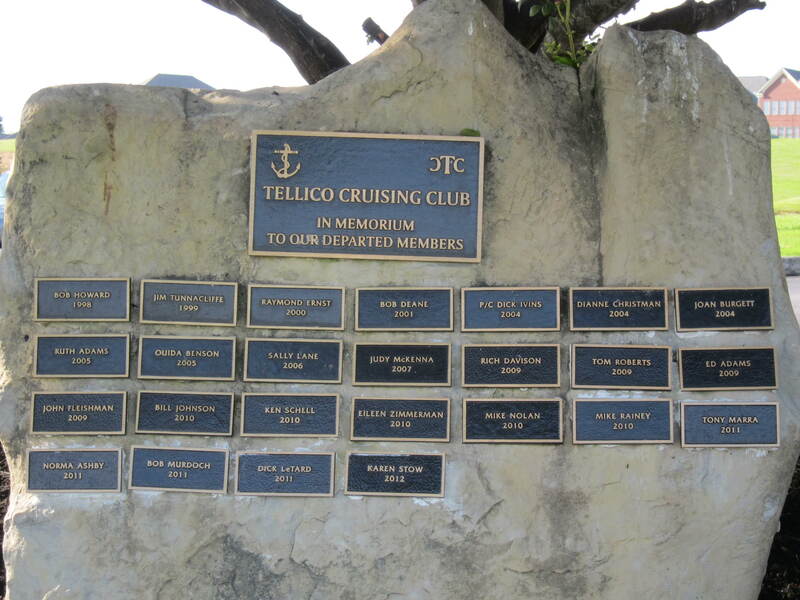 In May of 1999 the Club established a memorial at the Tellico Village Yacht Club for the recognition of deceased members. The memorial is located at the rear of the Yacht Club. 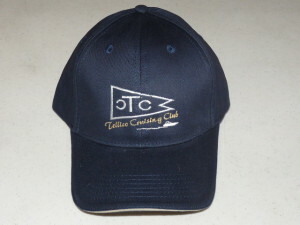 In January 2000 membership exceeded the 100 boat threshold and Club shirts and hats were designed. In 2001 the TCC Newsletter began to be published monthly during the boating season and bi-monthly the remainder of the year. Also during 2001 Club name tags were designed and made available to members. The Club’s activities have grown to consist of at least one major event each month including cruises to lakeside restaurants, multi-day cruises, such as the annualWatts Bar Rendezvous, and dinner/dances, such as our annual Christmas Party. Since the Club’s inception, Saturday raft offs have always been a popular event. In 2004 the frequency of raft offs were expanded to every other Saturday and in 2007 raft off frequency was expanded to every Saturday during the boating season. It is not unusual for 20 – 30 vessels to gather in a quiet cove to enjoy each other’s company. In addition to Saturday raft offs during the boating season, the Club holds two major annual raft off events: a moonlight raft off and a circle raft off during the Great Island Festival at the Fort Loudoun State Historical Area. In 2006 the Club began the current practice of inviting sponsors for its monthly meeting / socials and holding an annual Sponsor / Member Appreciation Social in November. 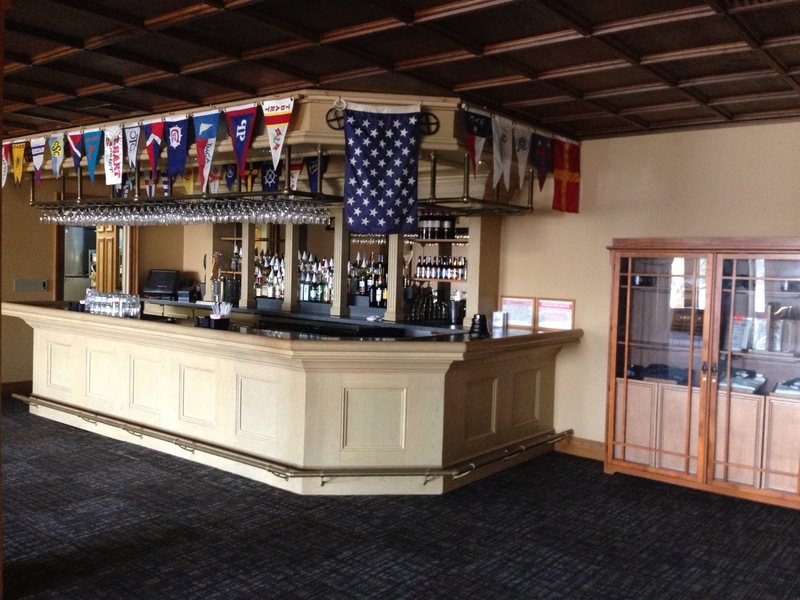 Also in 2006 the Club began to display burgees from member’s past yacht clubs in the bar area and maintaining a book detailing the origins of each burgee. In 2007 the Club created a Photographer/Photo Historian position to capture and collect event photos for the Club. Slide shows from the many Club events began being displayed at the Sponsor / Member Appreciation Social and in 2008 at the Club Christmas Party. The Club has worked to emphasize and promote safe boating for its members. In 2007 the Club began the practice of presenting a safety topic at each monthly meeting. While always emphasizing the use of VHF radios, in 2008, the Club began requiring radios during specific Club events. Also in 2008 the Club purchased and provided water rescue equipment to the Tellico Village Volunteer Fire Department. In 2008 a display cabinet was installed in the Yacht Club’s lower level bar area to display Club memorabilia and merchandise. Also a large burgee style banner was purchased for use at Club events. As the Club has matured, several special interest groups have formed. The Jet Ski Explorers regularly get together to ride their PWCs to lunch and explore the lake. The ROMEOs (Retired Old Men Eating Out) meet weekly to go by boat to lunch. And, not to be outdone by the guys, a ladies group, the JULIETs (Just Us Ladies In Eateries of Tennessee) meet monthly to enjoy local dining. In 21 years the Tellico Cruising Club has evolved from a small group of boaters with a common interest in boating, to a formal and thriving organization with a membership of over 300. The Club’s fleet now consists of over 150 boats, including pontoon boats, runabouts, cruisers and PWCs. The TCC continues to grow and evolve. Yet, as conceived by those who founded the Club in 1997, the TCC remains focused on its original objective of promoting fellowship and seamanship on Tellico Lake.